On currency front, the pound was slightly stronger, trimming a loss from a day earlier in the wake of the speaker of Parliament’s move to block another vote on Prime Minister Theresa May’s Brexit plan. 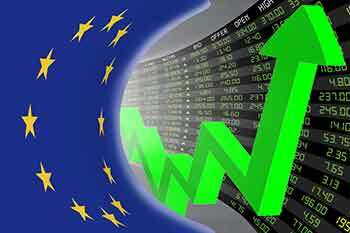 Shares in the European markets were trading in the green on Tuesday as market participants await a policy meet outcome of the US Federal Reserve. The policy makers will meet on Wednesday to conduct 2-day policy meet. Investors would be keeping a close watch on stance of the Fed, especially after the US central bank’s dovish shift in recent months helped reignite a global equity rally on bets policy makers will act to support growth. As per Bloomberg report, the volatility has evaporated across assets as a result, but with expectations the Fed will point to one more rate hike in 2019, it’s possible that markets could be over-pricing a Goldilocks scenario. Meanwhile, contracts for the S&P 500 Index pointed to a firm open in New York after the underlying gauge climbed to a five-month high on Monday. Futures for the Dow Jones and Nasdaq gauges followed suit. On the flip side, stocks posted modest losses in Japan, China, and Australia, while they rose in Hong Kong.